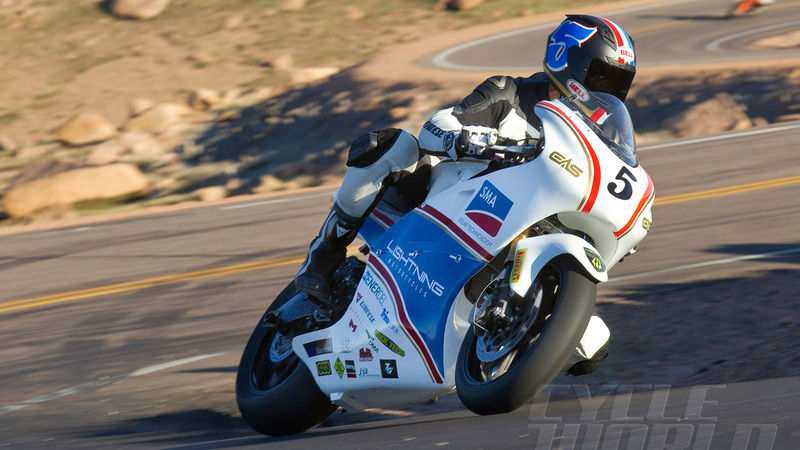 Lightning Motorcycles shocked the industry in 2013 with this machine, which won the Pike’s Peak Hillclimb outright, beating factory-backed race teams with IC engines. 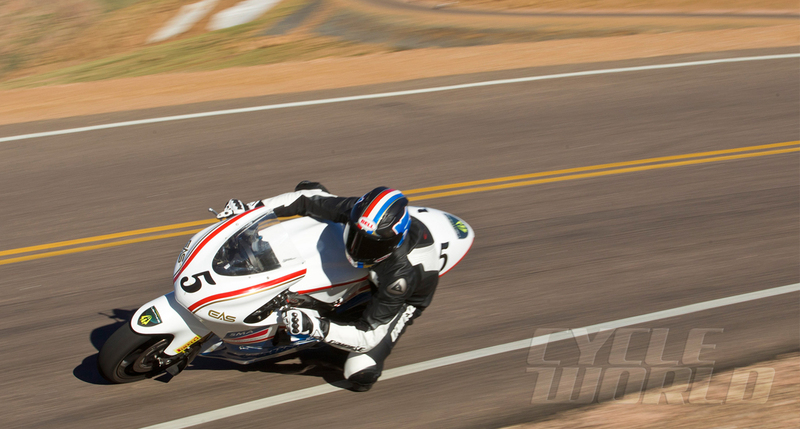 Short-distance racing is the killer app for e-bikes, as full power is available at all RPM, making wicked acceleration the norm. 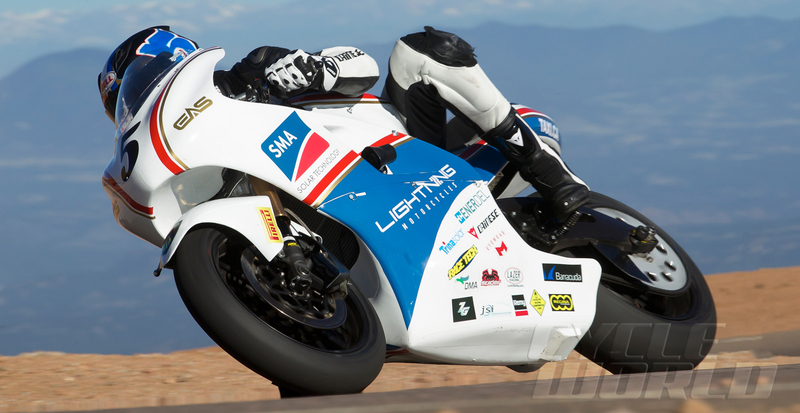 Lightning modified their LS-218, the fastest production motorcycle in the world, to race at Pike’s Peak with rider Carlin Dunne, and trounced the 82-bike opposition up the 10,000 foot climb and 12.42-mile course.